I have 2 advertisers to introduce to you guys today! Posted in Advertorials, Fashion, Pictures. 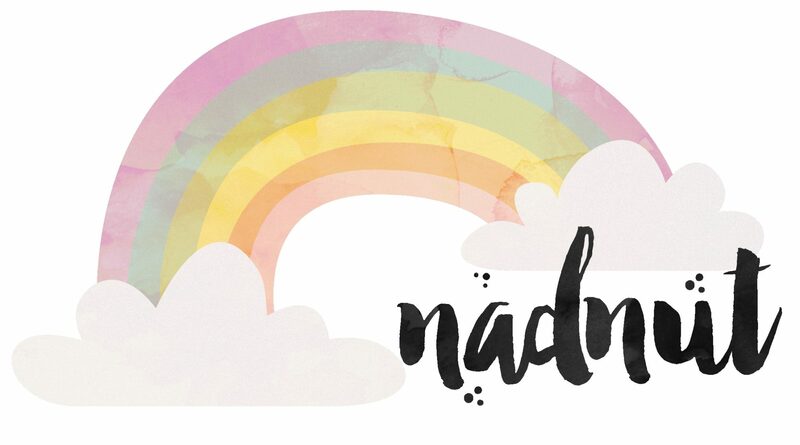 Tags: Advertorial, blog shops, blogshops, fashion, Featured Blog Shops, Featured Blogshops, online shopping, singapore lifestyle blog on June 29, 2011 by nadnut. Here's an entry dedicated to my good friends! 🙂 They need your votes! First up! My very good friend Charlie! Charlie's idea "Tools of Trade" is one of the ten finalists in the "Ultimate Start-Up Space" organised by Martel V.S.O.P. What is Tools of Trade in a nutshell? - kick-start your own idea through ToT and community funding. - We teach, learn and share. So it's about you, us and everybody coming together to develop and realise your ideas. - We are adults with a curious mind, wanting to discover what makes things tick and improve. I have known Charlie for a good 5 - 6 years now and he is always tinkering with something, fixing gadgets and coming out with new and innovative items. I personally think he never waste items and sees a challenge is revamping them. Waste not! If you are as impressed as I am with his idea, please help to vote (well, pledge in this case) for him. Xiaoyun is one of the 8 shortlisted in MediaCorp Radio's "So You Wanna Be A DJ?" contest. 2 weeks has passed and Xiaoyun is now in top 4! WOOOOT! Please help to vote for my very talented friend! SMS "933DJ<space>6<space> your name<space>NRIC to 72346" every Thursday at 8pm! Sms and you might win $1,000 worth of cash and prizes! Support Xiaoyun! You can also vote for Xiaoyun to be the Strepsil's Special Award for the Most Soothing Voice! Head over here and vote! Last but definitely not least, pls support my favourite sponsor Millys! Millys has been nominated in 3 categories, which are Favorite Hair Extension, Favorite Eyelash Extension and Favorite Gel Nails. http://www.cozycot.com/holygrailawards/ click on this link to vote for Millys! To thank you guys for voting for Millys, here's a special eyelash extensions promotion! Check out Millys at any of her outlets below now! Milly’s @ Far East Plaza #03-129, Milly’s @ Bugis Street #3,4 & 5, Milly’s @ Bugis Street #03-24 and Milly’s@ Bugis (Little Red Dot ). Posted in Announcements. Tags: contests, Cozycot Holy Grail Beauty Awards, Mediacorp Radio, So You Wanna Be A DJ, Strepsils Special Award, Ultimate Start-Up Space on June 27, 2011 by nadnut. Changed my layout for my Ootd posts ages ago (like two months ago?) but had to clear my previous posts first. Whoops! Posted in Fashion, Outfit of the day, Pictures. Tags: bunny top, candy crocs, casual outfits, comfortable shoes, crocs, crocs candy collection, denim shorts, fashion blog, lookbook, outfit breakdown, Outfit of the day, outfit post, outfits, polka dot bags, Singapore Fashion Blog, singapore lifestyle blog, what should i wear if the dresscode is casual? on June 24, 2011 by nadnut. 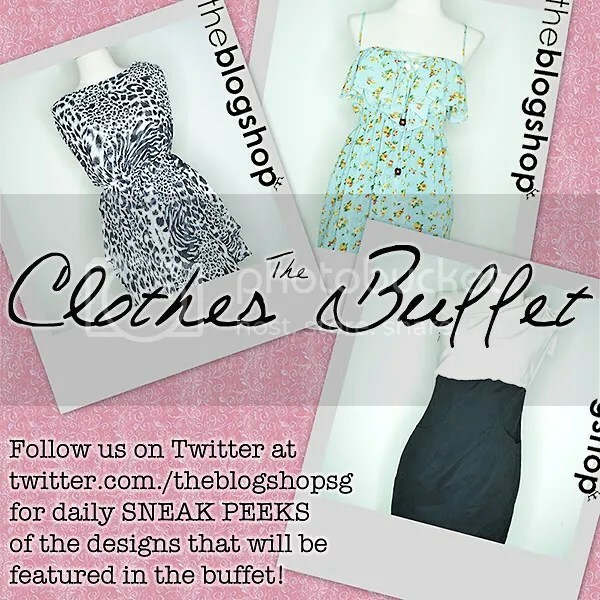 A Clothes Buffet! Yes, for only $30, you can take your pick from clothes, shoes, bags, accessories, stationery, belts and much more! Of course, you can only take as much as your bag can fit! This is only a one day event with LIMITED SPACES so sign up NOW. If you want to see sneak peeks of the types of designs that will be on sale, follow TheBlogShop on Twitter here. Here's a little something that I'm wearing from TheBlogShop. Only limited slots available so SIGN UP HERE!! Include your name, IC number and handphone number, and TheBlogShop will provide you with further instructions. Posted in Advertorials, Announcements. 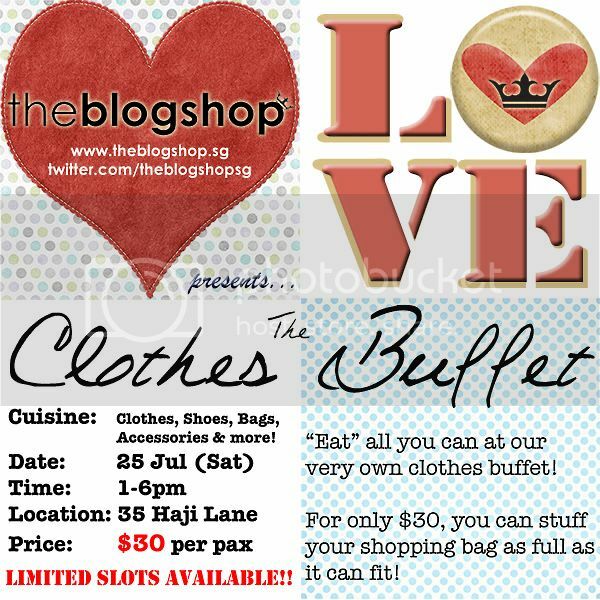 Tags: clothes, deals, Discounts, fashion, Featured Advertorial, singapore lifestyle blog, The Clothes Buffet, theblogshop on June 22, 2011 by nadnut.